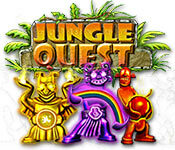 Jungle Quest is rated 3.8 out of 5 by 5. Rated 5 out of 5 by gmouse from Wish there were more like it! Excellent graphics and challenging fun describe this game. I've played lots of other match 3 games and have failed to find one as enjoyable as this one. I wish they would make another version of this. I love sliding the icons along the grid lines to create the match and I know of no other match 3 game with that feature. If there is another game like that, please tell me. Rated 5 out of 5 by cfcrcooper from Fun and challenging I never get tired of playing this game; it's a great challenge, especially at the end. Rated 4 out of 5 by gumybear57 from Very satisfying gameplay! I really adore the M3 type games and this one doesn't dissapoint! Even though there's not a lot of interaction with the character "exploring" through the jungle, there are really satisfying explosions and collecting and swapping powerups and different powers. If you've read other reviews I've written, you've probably noted that I REALLY appreciate a game with wonderful, satisfying explosions! [Sound like a personal problem? Something missing in my life maybe?] This game has that quality! It's not a game where there's an impossible clock to play against, but you do get additional point money to spend at the jungle store to buy your power-ups and additional powers and mana. For me, it was a great gaming experience with colorful boards and scenes and not a lot of yammering by the characters! I liked the gameplay and will be purchasing this game. Please, at least demo it so you can ascertain if it's a fun game for you too! Happy gaming fellow fishies! 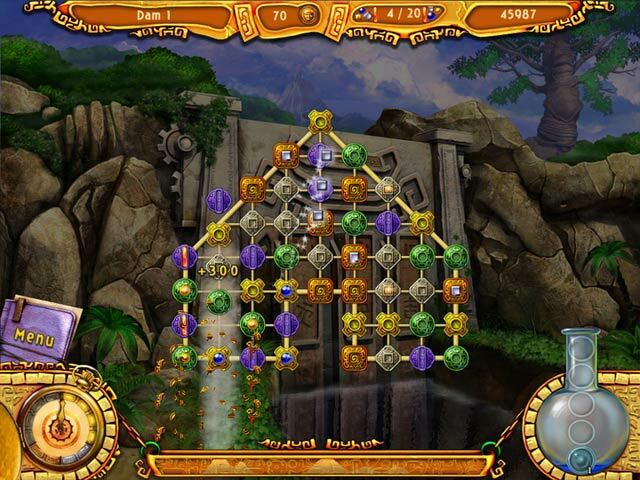 Rated 3 out of 5 by myyorkies1994 from A Good Game for Beginners or Young Players This games offers three modes of play: easy, normal and hard. Even at the hard level, I was completing the game board in under 12 seconds. This game is cute, easy and works on the very simple 'click on groups' mode of clearing the board. It has some great explosions in the higher levels, however, they don't clear any additional tiles, only those with the same icon in that group. Beginner and younger M3 players may enjoy this simple game. Rated 2 out of 5 by bessiegirl from not impressed The demo started out to be fun but soon found the power-ups to be confusing and awkward and acquiring these are a must for playing this game. Game also seemed to drag, not a very quick response to mouse movement. 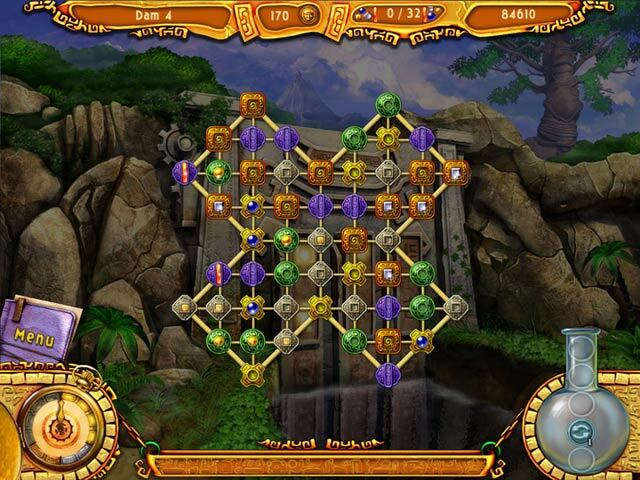 The game is timed with no option to play relaxed. The one thing that really put me off was the slider mini game which wasn't all that easy with no skip option so if you didn't make it, you game was over. I found that ridiculous and almost stopped right there. I just didn't find the game fun..it got difficult quite quickly and beating the timer became difficult. So that was it for the demo for me. 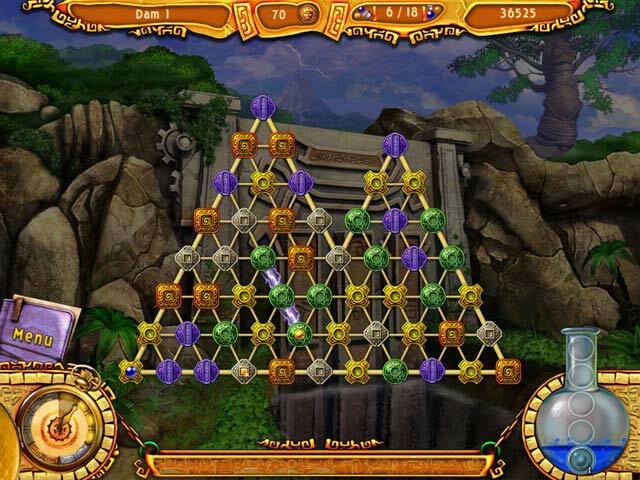 Join archeologist Cathie Jones as she hunts for the Fountain of Youth to stop a deadly virus in this adventurous Match Three game!